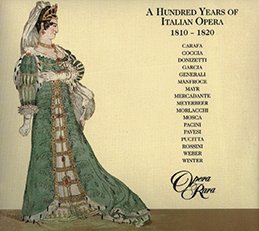 Opera Rara’s fascinating journey into the forgotten treasures of the 19th century operatic repertorie. Opera Rara’s fascinating journey into the forgotten treasures of the 19th century operatic repertorie. 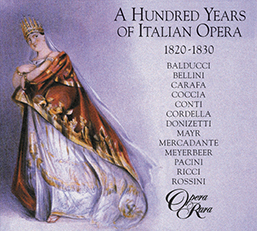 In the third volume of Opera Raras acclaimed anthology, listeners can explore the music of Rossini, Cordella, Bellini, Balducci, Conti, Carafa, Coccia, Donizetti and Meyerbeer. The publication today of a critical edition of the works of Offenbach is a delicate task, for various reasons. Through poor management of the Offenbach legacy, the autograph manuscripts have been scattered to the four corners of the earth. As for the archives of the French editors, numerous original orchestral manuscripts have been damaged or lost. It should also be noted, what is more, that in the case of Offenbach, an autograph manuscript can never represent a unique source of reference. The original orchestral parts, the copyist’s scores, as well as all the materials printed in the last century (voice and piano, librettos, individual arias etc.) are indispensable to a coherent edition as much from the point of view of the drama as for the music. To this experienced man of the theatre, a work was a living thing which constantly had to evolve according to the exigencies of its career. Certain works underwent important transformations between their first performance in Paris and their revival in Vienna (re-orchestration for larger forces, various structural modifications). 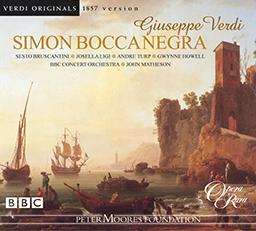 Other works were subject to notable revisions for their various performances in France during the composer’s lifetime. Our policy is to publish all these different versions in their complete form, to give the public the most exhaustive choice. (As part of each subscription volume, numbers composed later and added to the original score will be printed in the supplement, whereas the Viennese versions in their specific instrumentation will be published separately, being available as hire material only.) Each edition will feature a detailed preface explaining the sources used, a brief history of the work and an analytical report on our editorial work, as well as significant illustrations testifying the original intentions of the respective authors. The publication of the great works of the repertoire will alternate with that of the less well known lyric productions and the symphonic music. The chamber music, sacred works, songs etc. will be published in parallel with the present subscription. Up to three volumes a year will be published cloth-bound with dust jacket (310 x 230 mm). The scores will include the original libretto. Commentaries on the work and the edition, an iconography as well as the librettos in French, German and English will be attached to the scores. Claire Daniels, Lynne Davies, Nuccia Focile, Eiddwen Harrhy, Marilyn Hill Smith, Yvonne Kenny, Linda Kitchen, Susan McCulloch, Bronwen Mills, Jennifer Rhys-Davies, Theresa Goble, Della Jones, Fiona Kimm, Anne Mason, Diana Montague, Patricia Spence, Penelope Walker, Bruce Ford, Brendan McBridge, Paul Nilon, Ivan Sharpe, Ian Thompson, David Ashman, Karl Morgan Daymond, Geoffrey Dolton, Ian Platt, John Rawnsley, Russell Smythem Jonathan Viera, Clive Bayley, Mark Glanville, Alastair Miles, Ashley Thorburn, Geoffrey Mitchell Choir, Philharmonia Orchestra, David Parry, conductor. 05 Zelmira, Act I: Duet: Perche mi guardi, e piangi? 10 Alfredo il grande, Act II: Aria finale: Che potrei dirti, o caro? 19 Rosmonda, Act I: Romanza: Perche non ho del vento?